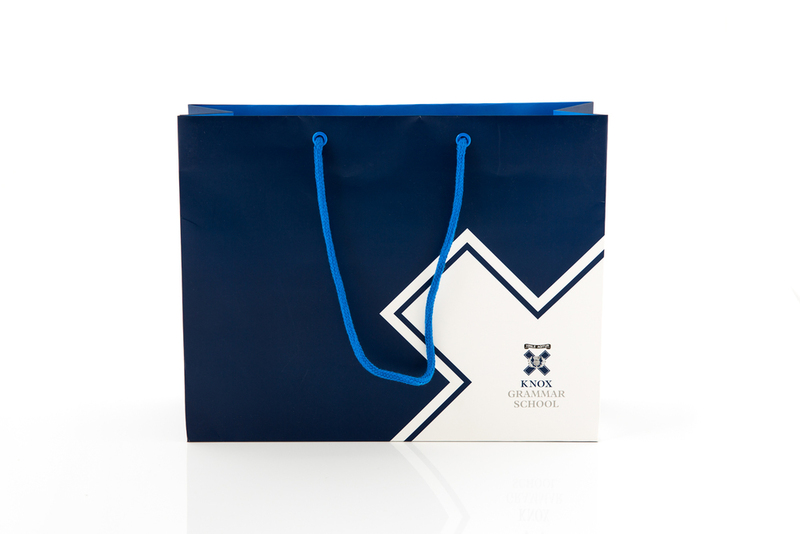 As one of Australia's leading independent schools, Knox Grammar understands the importance of a strong brand identity and the need to remain current in the school market. In response we have presented a contemporary, sophisticated yet practical brand identity which celebrates the traditional values of the school whist embracing innovation and the state of the art learning environment of the present day. 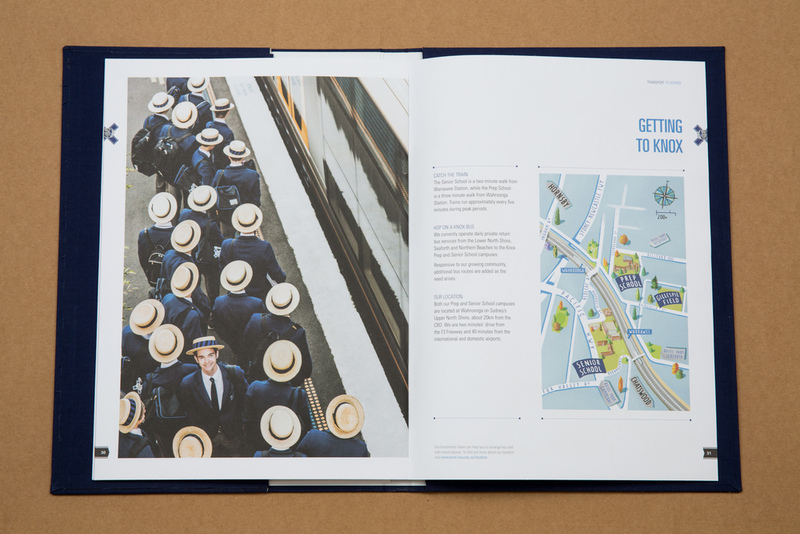 This creative strategy has been successfully implemented across a range of both printed and digital media the first and perhaps most important piece being the prospectus package. The prospectus package is often the first point of contact the school has with it's prospective parents and members of the wider community so it is imperative that it's aesthetic conveys the core values of the school and presents itself as a serious contender in school market. 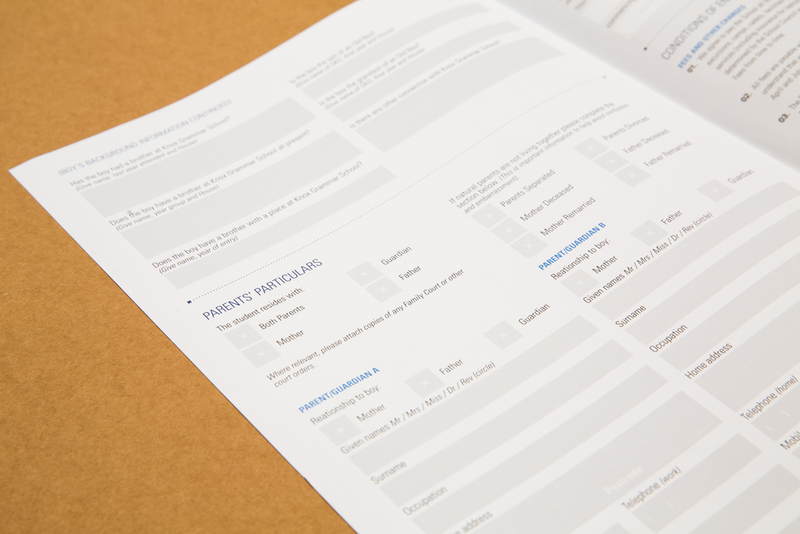 Our solution for the refreshed prospectus package was to take the parent on a memorable and engaging experience from the moment they open their parcel to the very end.